Attention Vault Hunters! 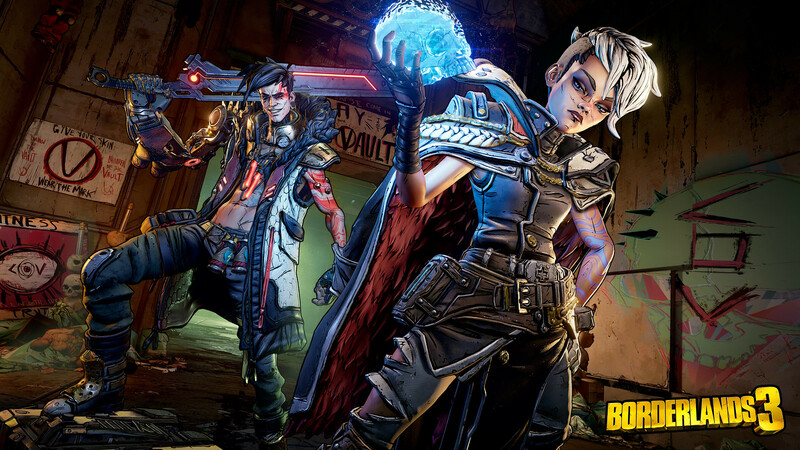 After years spent developing the game behind closed doors, I am thrilled and relieved to finally say this out loud: Borderlands 3 is real, and it’s coming out later this year. We unveiled the game at PAX East last Thursday, and today I can confirm Borderlands 3 will launch on 13th September, 2019. I’m also proud to share our third Borderlands 3 trailer (assuming you count the “Mask of Mayhem” teaser we posted last Wednesday and the footage we debuted at PAX East). If you’ve already watched the trailer at the top of this page, you probably noticed four brand new Vault Hunters, all of whom will of course be playable, customisable, and totally badass. Let’s get the ball rolling with some quick introductions: Moze is a nimble soldier who can digistruct and hop into her mech—Iron Bear—anytime she needs some additional firepower. Amara is a Siren who can summon ethereal fists to pound enemies. Zane is a semi-retired hitman who can cause chaos with his Digi-clone and other gadgets. And FL4K is a wandering robot who’s always accompanied by one of their loyal and battle-hardened pets. You may have also noticed a couple villains in the trailer – you know, the ones with the hair? Those are the Calypso Twins, who are uniting the bandit clans and attempting to get their hands on the galaxy’s ultimate power capable of destroying, well… everything. Only you and your Vault Hunter allies will have the unique abilities, uncommonly deep skill trees, and seemingly never-ending arsenal of guns and gadgets to stop them. You’ll be capable of tackling the Calypso Twins and their fanatical followers alone, but when you team up with other Vault Hunters, you’ll really feel unstoppable. With that in mind, one of the things that I’m most excited about in Borderlands 3 are the improvements that we’ve made to co-op. Regardless of your respective levels or mission progress, you and your friends can play together online or on the couch, and not only will each of you deal a meaningful amount of damage, you’ll also receive your own discrete loot stream. No more loot ninjas! 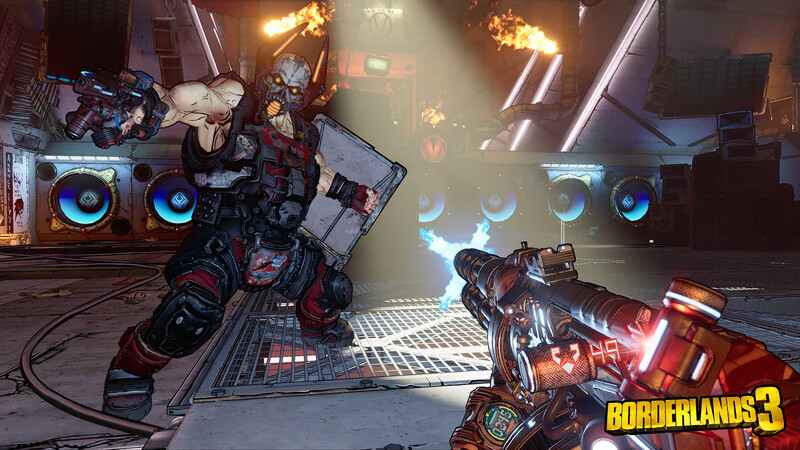 Of course, if you prefer to play with classic Borderlands 2 co-op rules—where loot is shared—you can choose to do so. Regardless of which mode you opt for, every fight in Borderlands 3 will be an opportunity to score new gear. 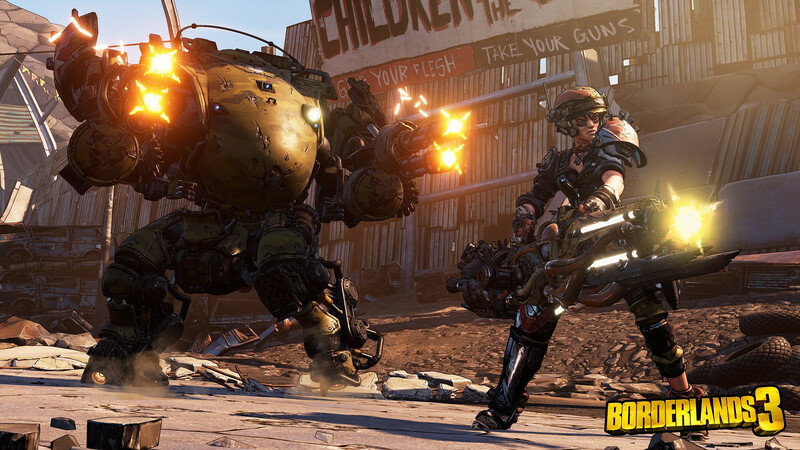 If you’ve adventured in the Borderlands before, you’ll recognise most of the weapons manufacturers, but I think you might be surprised by some of their latest innovations. Atlas now offers guns that fire tracker tags and Smart Bullets; DAHL weapons feature alternate fire modes; and the Maliwan range now incorporates firearms that can toggle between two elements and deal guaranteed elemental damage. Looking for something a little crazier? Okay, how about rifles that spawn fire-spewing volcanoes, or guns that grow legs and then chase down enemies while verbally abusing them? We’ve got those too. All of us at Gearbox are excited for you to get your hands on these weapons and bazillions more like them come September, when you’ll get to take the fight to the Calypso Twins not only on Pandora but on other planets throughout the Borderlands as well. We’ll be offering an extended look at Borderlands 3 during our worldwide gameplay reveal event on 1st May. To catch all that and more, be sure to follow @Borderlands on Twitter. We’re also making pre-orders available today for those who might be interested in picking up some extra loot in addition to the game itself. And hey, if you’re down for an action-packed Borderlands history lesson while you wait, both Borderlands: Game of the Year Edition and Borderlands: The Handsome Collection are available on PS4 and, as of today, playable in 4K on PS4 Pro. Catch you again on 1st May! 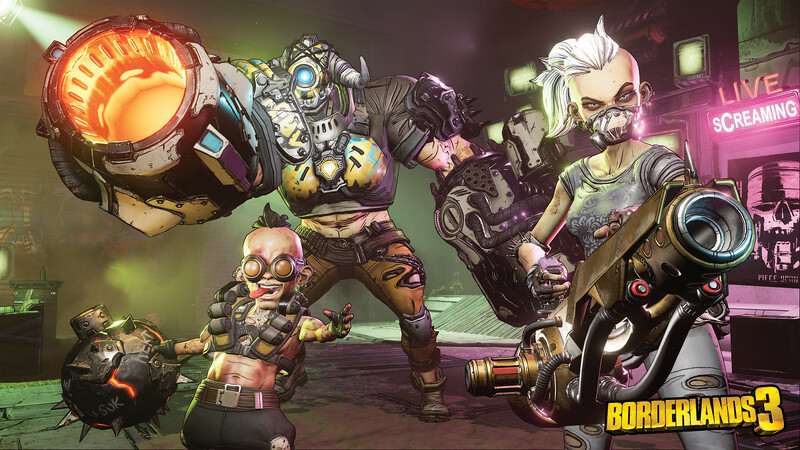 The post Borderlands 3 launches 13th September on PS4, see it in action with new trailer appeared first on PlayStation.Blog.Europe.